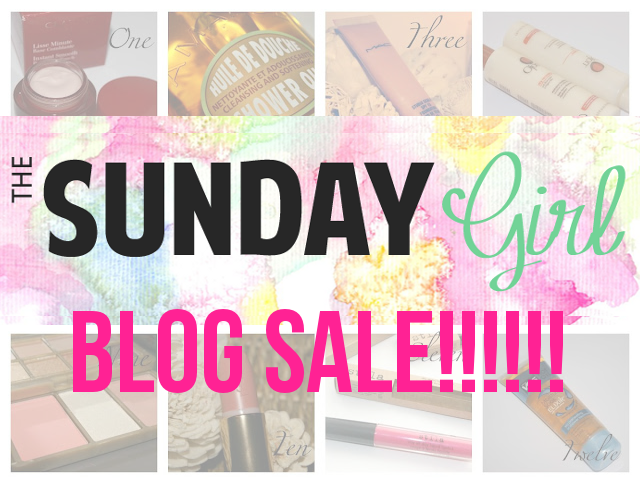 Epiphannie A | British Beauty Blog : @TheSundayGirlUK Blog Sale at 7pm TODAY!!!! @TheSundayGirlUK Blog Sale at 7pm TODAY!!!! This is going to be one of the quickest posts I've ever written and I don't know if I should be telling you this as it ruins my chance of picking up some great days later today but Adrienne of The Sunday Girl is having a BLOG SALE!!!!! If you are unfamiliar with The Sunday Girl, then the best way to describe her blog would be as the UK's Tempatalia. She is a blogging machine! I actually don't know how she manages to do 6 blogposts a day (like I said she's a machine) but I just love the fact that she's absolutely sweet, amazing and cheers my MAC obsession.